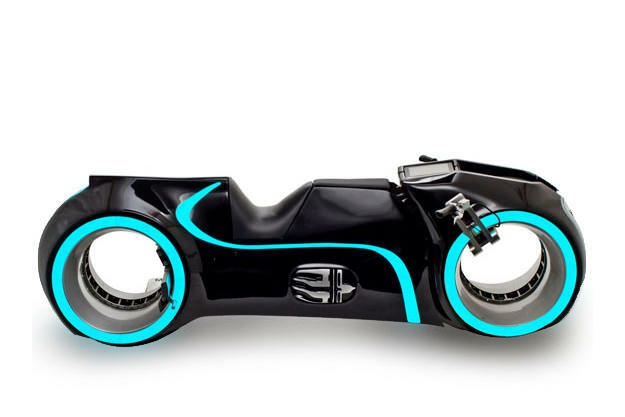 Believe it or not, this is a Tron motorcycle that you can buy. It’ll cost you at least $55,000 but it’s electric, so you’ll save money on gas. 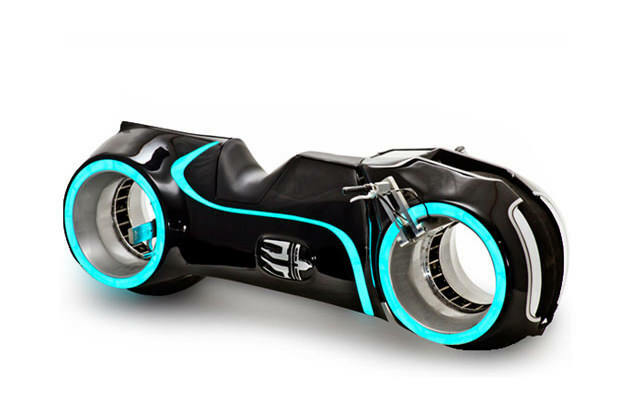 The Xenon was styled by Florida-based Parker Brothers Choppers, and it’s based on the gas-powered “Light Cycle” they created for the movie Tron: Legacy. 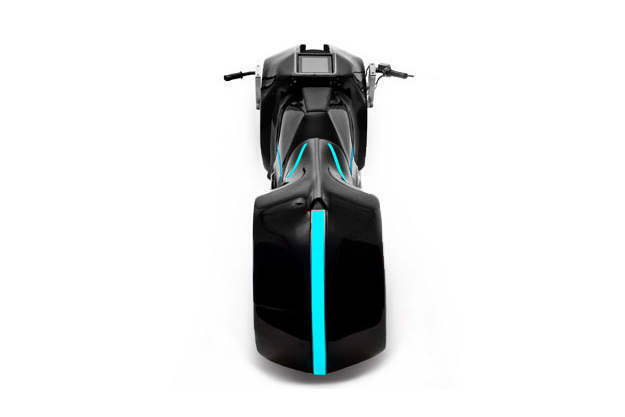 But the core of the Xenon comes from a company called Evolve, which is better known for its affordable electric scooters costing $2,900 and up. There are two versions of the productionized Xenon, a basic model and the “XR”, which doubles the battery power to give a 100-mile range. A 40,000W motor delivers a top speed of 70 mph, and the battery pack is fully charged in three to four hours. And despite the improbable looks, there’s a video to prove that the bike is rideable. There’s no pipewrap and the tires look nothing like vintage Firestones. 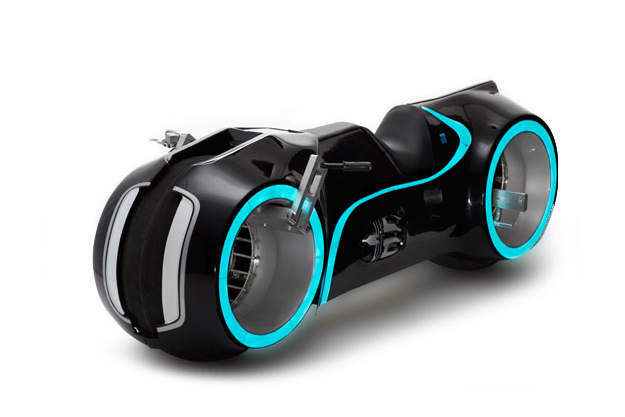 But I’d happily put this one in my garage for those occasional night rides.